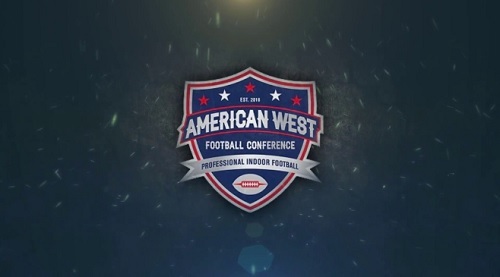 The following is the full schedule for the American West Football Conference's Inaugural 2019 Season. It is a four-team indoor football league based in three states in the western United States. The League was founded in 2018 by Platinum Events & Security LLC. The organization, which owns the Idaho Horsemen, launched the AWFC after opting not to join several other indoor football leagues around the country. Each of the teams will play 12 games over 15 weeks, beginning in March of 2019. Each team also will have three bye weeks. In addition to the Horsemen, the Reno Express, Tri-Cities Fire and Wenatchee Valley Skyhawks will comprise the league in its opening season. The following is the schedule followed by a list of each team's home arena. All times are pacific standard time. April 26 - Reno Express at Idaho Horsemen, 6 p.m.
May 4 - Wenatchee Valley Skyhawks at Reno Express, 6 p.m.
May 11 - Tri-Cities Fire at Idaho Horsemen, 6 p.m.
May 18 - Idaho Horsemen at Wenatchee Valley Skyhawks, 6 p.m.
May 19 - Tri-Cities Fire at Reno Express, 5 p.m.
May 23 - Reno Express at Tri-Cities Fire, 7 p.m.
May 25 - Idaho Horsemen at Wenatchee Valley Skyhawks, 6 p.m.
May 30 - Reno Express at Idaho Horsemen, 7 p.m.
June 2 - Wenatchee Valley Skyhawks at Tri-Cities Fire, 6 p.m.
June 8 - Idaho Horsemen at Reno Express, 6 p.m.
June 8 - Tri-Cities Fire at Wenatchee Valley Skyhawks, 6 p.m.
June 15 - Wenatchee Valley Skyhawks at Idaho Horsemen, 6 p.m.
June 15 - Reno Express at Tri-Cities Fire, 7 p.m.
June 22 - Idaho Horsemen at Reno Express, 6 p.m.
June 22 - Wenatchee Valley Skyhawks at Tri-Cities Fire, 7 p.m.
June 28 - Tri-Cities Fire at Wenatchee Valley Skyhawks, 6 p.m. 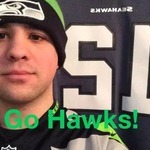 I know this is a small league, but it would be fun to drive to Kennewick or Wenatchee to catch a game. Could be a weekend trip. I'm curious. Might try and do a day-trip to Kennewick to check out how it is. Definitely could be interesting to have a "local" league to follow and maybe visit. Note: For best results, right click on the image and open in new tab or window. Note: For best results, right click on the image and open in new tab or window. Game Sheets courtesy the AWFC official website. Tri-Cities has not been that good at all. Ouch.